Members: Mario Aguilar, Marcello Averburg, Jorge Claro, Ruth Connoly, Clarita Estrada, Jaime Estupiñán, Jorge García-García, Peter Lapera, Alvaro López, Orlando Mason, Ítalo Mirkow, John Redwood, Lucía Redwood, Jorge Requena, Alfonso Sanchez, Jairo Sanchez, Xavi Vila, Ricardo Zavaleta, Germán Zincke. The main objectives of this tasting are to appreciate the features of each wine, distinguish the varieties of the wines and rank them in order of preference. The Wine: Pale sunshine yellow color with fresh floral, citrus and melon aromas with hints of almond. An unoaked, dry, medium bodied white wine with crisp acidity, the Arneis is well-balanced, elegant wine with good complexity and a lingering finish. This winw is 100% Arneis The grapes are selected from vineyards located in the middle of the Roero area, in Santo Stefano Roero. The vineyards are planted with 4.500-5.000 plants per hectare. Beginning in mid-September, grapes from 25-year-old vines in Santo Stefano Roero are harvested, pressed and clarified. Alcoholic fermentation occurs in stainless steel autoclave at lower temperature (10-12°C, 50-53° F) to preserve some natural CO2 from the fermentation. There is no malolactic fermentation, which preserves acidity and freshness. The wine is held in stainless steel tanks until bottling. 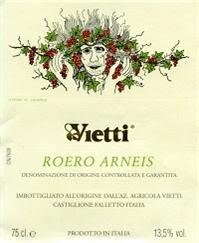 The Winery: Mario Vietti, starting from 1919 made the first Vietti wines, selling most of the production in Italy. Then, in 1952, Alfredo Currado (Luciana Vietti’s husband) continued to produce high quality wines from their own vineyards and purchased grapes. Alfredo was one of the first to select and vinify grapes from single vineyards (such as Brunate, Rocche and Villero). This was a radical concept at the time, but today virtually every vintner making Barolo and Barbaresco wines offers “single vineyard” or “cru-designated” wines. Alfredo is also called the “father of Arneis” as in 1967 he invested a lot of time to rediscover and understand this nearly-lost variety. Today Arneis is the most famous white wine from Roero area, north of Barolo. Setting such a fine example with Arneis, even fellow vintners as far away those on the west coast of the United States now are cultivating and producing Arneis! In 1970 Alfredo and Luciana, through their friendship and support to some local artists, started to update their wine labels. Artists such as Gianni Gallo, Eso Peluzzi, Pietro Cascella, Mino Maccari, Pier Paolo Pasolini, Claudio Bonichi, Valerio Miroglio, Pierflavio Gallina, Gioxe de Micheli, have had their works displayed to a much wider audience via the bottles of Vietti wines. The whole collection of artist labels has been shown at the Museum of Modern Art of New York. The Wine. Deep ruby red color. It has aromas of baked fruit, plums and cherries. It has a fruity taste, with notes of coffee and cocoa. Very well balanced. The Valpolicella Blend is based on three indigenous red-wine grape varieties grown in the Veneto region in Italy’s northeast. Corvina, Rondinella and Molinara are the trio primarily involved in the Valpolicella, although it could easily be argued that the production method is equally as important – the three varieties are semi-dried to make Amarone, possibly their most famous incarnation. (See Amoren winemaking process below in the Technival Note). The Winery. In Valpolicella Classica Hills Costasera, the slopes that face the sunset are traditionally considered the best for making Amarone. Here, where the daylight lasts longest, the vines that look over Lake Garda benefit from its reflected light and from its milder climate. The vineyards that make Amarone Costasera and Amarone Riserva di Costasera are located in historic sites in the districts of Marano, Negrar, Sant’Ambrogio and San Pietro in Cariano. Loose red earth on Eocene limestone and compact red earth on basalt and the different types of soil bring out the quality of characteristics of the great wines made here. Corvina, Rondinella and Molinara, the traditional grapes for the area, are trained in the customary fashion for the Valpolicella Classica region: the pergola Veronese system is used for vineyards high in the hills and Guyot for the lower foothill sites. Le Venezie (the Venetian regions) are the location for an acknowledged and internationally famous thousand-year-old way of life. The history of Masi is the history of a family and its vineyards in Verona, part of the Veneto. The name itself derives from the Vaio dei Masi, the small valley purchased at the end of the XVIII century by the Boscaini family, still its owners today. Masi now has lands in the best terroir sites of the Venetian regions with vineyards and historic estates. Since 1973, Masi has collaborated with the Conti Serego Alighieri family, descendants of the poet Dante, on their estates in Valpolicella. More recently, a collaboration has been launched with the Conti Bossi Fedrigotti family, who have always made wine with passion and skill in Trentino. The Wine: Deep ruby red color, with paint still young. Aromas characterized by sensory spicy notes reminiscent of jam berries, marked hints of tobacco and pleasant hints of vanilla. It has a great structure. The full body wraps a considerable amount of mature tannins, which are refined gradually with the stay in the bottle making the much more pleasant taste. Long and warm. Sangiovese 100%. Fermentation on the skins for a period of 15-18 days at a controlled temperature below 28 C in stainless steel tanks of 100 hl, specially designed to gently extract color and tannins. Aged 4 years, 3 of which in oak casks of 30 hl capacity and subsequent aging in bottle for at least 6 months in temperature controlled rooms. The Winery: There is little information on the web about this winery. The following paragraphs are from wine.com webpage. The Wine: A classic Barolo. Excellent structure and harmony, mild tannins and balanced fruit. It is immediately approachable, but it has a very long ageing potential. Nebbiolo is sourced from family owned vineyards in Serralunga d’Alba (Ornato), Grinzane Cavour (Gustava), La Morra (Roncaglie), Barolo -Novello (Ravera). The balance of the grapes comes from other exclusive vineyards owned by “growers” who have been providing grapes to the Pio Family for generations. The vinification is made in stainless steel tanks. Skin contact for about 20 days. The aging takes place in mid toasted French oak for 3 years: 70% in 20 to 50 hectoliters casks; 30% in barriques. 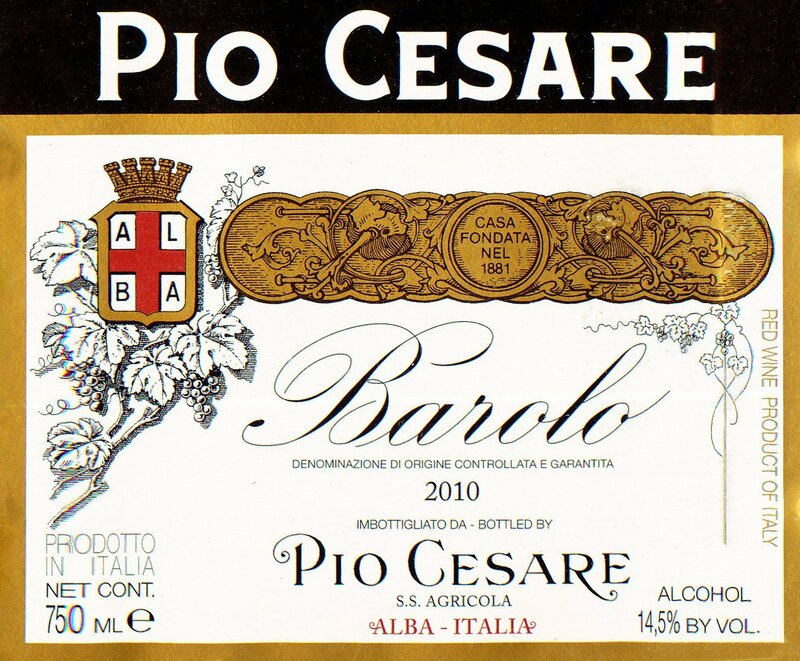 The Winery: The Pio Cesare winery was founded in 1881 by our great-grandfather Cesare Pio. He was one of the very first wine producers to believe in the great potential and quality of Barolo, Barbaresco, Barbera and in the other great wines of Piemonte. Cesare Pio in the second portion of 1800s, was among the very first winemakers to produce these wines with a philosophy that was dedicated to the terroir and the strictest quality of the wine. For five generations, the Pio Cesare family has been producing traditional Piemontese wines in its ancient cellars, located in the centre of the town of Alba. Pio Cesare ownes more than 50 hectares (130 acres) of vineyards, located in the most highly rated and better exposed areas. Within the Barolo region, the “Ornato” Estate and the “Colombaro” Vineyard (in Serralunga d’Alba), the “Gustava” Estate (in Grinzane Cavour), the “Roncaglie” (in la Morra) and “Ravera” (in Barolo-Novello). Within the Barbaresco territory, the “Il Bricco” Estate and the “San Stefanetto” Vineyards in Treiso. Other selected vineyards are located in communes of Diano d’Alba, Sinio and Trezzo Tinella. In addition to his own vineyards, Pio Cesare has fostered long term relationships with growers for several generations and manages all aspects of viticultures in these vineyards. This growers have been selling grapes to the family for generations. Italy has a rich and diverse wine heritage dating back more than two thousand years. Famous for its bewildering diversity of both grape varieties and wine styles, Italy is also significant for the sheer volume of wine it produces: just over 40 million hL in 2012, from 800,000 ha. of vineyards. When both quality and quantity are taken into consideration, The most significant wine regions in Italy are Tuscany, Piedmont and Veneto. Each region has its flagship wine styles. Some are famous because they are produced in large volumes and can be found all over the world, others because of their consistently high quality. Tuscany is known for its Chianti, of course, but among devoted wine aficionados its Brunello and Vino Nobile are even more highly regarded. Likewise, Piedmont’s most famous wine is now Moscato d’Asti but the region is most respected for its Barolo and Barbaresco. Veneto’s vast output of Prosecco, Soave and varietal Pinot Grigio does little to boost its reputation as a fine wine region, and yet it produces one of the world’s richest, finest wines: Amarone della Valpolicella. Italy’s vineyards are home to more than 2000 grape varieties, many of which are on the brink of extinction. The safest and best-known Italian grapes are Sangiovese, Barbera, Nebbiolo, Montepulciano and Pinot Grigio. These varieties cover many thousands of acres of vineyard, and can be found in various regions. At the other end of the scale are such little-known rarities as Centesimino and Dorona, which are found in tiny numbers in just one or two places. All of Italy’s grape varieties, famous or not, face serious competition from better-known French varieties such as Cabernet Sauvignon, Merlot, Chardonnay and Sauvignon Blanc. These internationally popular grapes are being planted in ever-increasing numbers all over Italy, and with high success rates. Some of Italy’s finest and most expensive wines are made from these “foreign” varieties. An obvious example is the Super Tuscan Sassicaia from Bolgheri, which is a predominantly Cabernet Sauvignon with a hint of Cabernet Franc. Vineyards in Italy are planted anywhere from sea-level in eastern Emilia-Romagna to around 1300m in the alpine Aosta Valley. Latitude is also a key factor here; at 46°N, the northern Alto Adige region lies a full 11 degrees north of Pantelleria, leaving it some 680 miles further from the warmth of the equator. DOCG (Denominazione di Origine Controllata e Garantita) is the highest classification for Italian wines. It denotes controlled production methods and guaranteed wine quality. There are strict rules governing the production of DOCG wines, most obviously the permitted grape varieties, yield limits, grape ripeness, winemaking procedures and barrel/bottle maturation. Every DOCG wine is subject to official tasting procedures. To prevent counterfeiting, the bottles have a numbered government seal across the neck. DOC (Denominazione di Origine Controllata) is the main tier of Italian wine classification, and covers almost every traditional Italian wine style. There are around 330 individual DOC titles, each with a set of laws governing its viticultural zone, permitted grape varieties and wine style. Those, which show consistently high quality, earn promotion to DOCG status. IGT (Indicazione Geografica Tipica) was introduced in 1992, to allow a certain level of freedom to Italy’s winemakers. Prior to 1992, many wines failed to qualify for DOC or DOCG status – not because they were of low quality, but because they were made from grape varieties (or blends) not sanctioned under DOCG laws. The IGT classification focuses on the region of origin, rather than grape varieties or wine styles. Vino da Tavola: It represents the most basic level of Italian wine. The Vino da Tavola category held a certain prestige in the 1970s and 1980s, thanks to experimental winemakers who produced top-quality (but unorthodox) wines under the title. This situation has gradually diminished, however, since the introduction of the IGT category with its more flexible production conditions, and Vino da Tavola has steadily returned to its original status as the lowest rung on Italy’s wine quality ladder. This useful but unofficial term emerged in the 1970s, to describe a particular set of high-quality Tuscan wines, which were precluded from claiming DOC or DOCG status because they broke traditional Italian winemaking norms (foreign grape varieties were used, and the wines were often matured in small, new oak barrels). Several of these wines earned global recognition and astronomical price tags – hence ‘Super Tuscan’. Originally these wines had to be labeled as Vino da Tavola because they contravened the stringent, tradition-focused DOC laws. Italy’s twenty wine regions correspond to the twenty administrative regions. 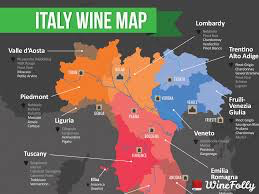 Understanding of Italian wine becomes clearer with an understanding of the differences between each region; their cuisines reflect their indigenous wines, and vice versa. The 73 DOCG wines are located in 15 different regions but most of them are concentrated in Piedmont, Veneto and Tuscany. Among these are appellations appreciated and sought after by wine lovers around the world: Barolo, Barbaresco, and Brunello di Montalcino (colloquially known as the “Killer B’s”). Other notable wines that in the latest years gain much attention in the international markets and among specialists are: Amarone della Valpolicella, Prosecco di Conegliano- Valdobbiadene, Taurasi from Campania, Franciacorta sparkling wines from Lombardy; evergreen wines are Chianti and Soave, while new wines from the Centre and South of Italy are quickly gaining recognition: Verdicchio, Sagrantino, Primitivo, Nero D’Avola among others. The Friuli-Venezia Giulia is world-famous for the quality of her white wines, like Pinot Grigio. Special sweet wines like Passitos and Moscatos, made in different regions, are also famous since old time. Italy’s Ministry of Agriculture and Forestry has documented over 350 grapes and granted them “authorized” status. There are more than 500 other documented varieties in circulation as well. The following is a description of the wine and grape’s varieties to be tasted. Arneis is a white Italian wine grape variety originating from Piedmont, Italy. It is most commonly found in the hills of the Roero, northwest of Alba, where it is part of the white DOCG wines of Roero. It can also be used to produce DOC wines in Langhe. Arneis is regarded as a somewhat difficult variety to grow. It is a crisp and floral varietal, and offers notes of pears and apricots. Arneis has been grown for centuries in the region. White wine made from the Arneis grape tend to be dry and full body. It was for some time added to the Nebbiolo wines of the region to soften their harsh tannins. This earned Arneis the nickname Barolo Bianco or white Barolo. Barolo is a red DOCG wine produced in the northern Italian region of Piedmont. It is made from the Nebbiolo grape and is often described as one of Italy’s greatest wines. The zone of production extends into the communes of Barolo, Castiglione Falletto, Serralunga d’Alba and parts of the communes of Cherasco, Diano d’Alba, Grinzane Cavour, La Morra, Monforte d’Alba, Novello, Roddi, Verduno, all in the province of Cuneo, south-west of Alba. Barolo is often described as having the aromas of tar and roses, and the wines are noted for their ability to age and usually take on a rust red tinge as they mature. Barolo needs to be aged for at least 38 months after the harvest before release, of which at least 18 months must be in wood. When subjected to aging of at least five years before release, the wine can be labeled a Riserva. Barolo, like most Nebbiolo based wines, is known for its light color and lack of opacity. Pairing: A big, powerful, tannic wine, Barolo needs to be matched with foods of similar weight. In Piedmont, the wines are often paired with meat dishes, heavy pastas and rich risottos; the tannins bind to the food proteins and come across as softer. Amarone della Valpolicella, usually known as Amarone, is a typically rich Italian dry red wine made from the partially-dried grapes of the Corvina (45–95%, of which up to 50% could be substituted with Corvinone), Rondinella (5–30%) and other approved red grape varieties (up to 25%). Valpolicella is in the province of Verona, within the large Veneto region near Venice. On December 2009, Amarone and Recioto della Valpolicella were promoted to (DOCG). 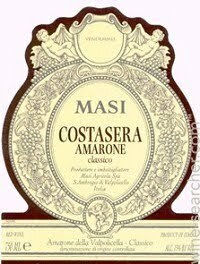 In Italian, the name Amarone literally means “the Great Bitter”; originally, this was to distinguish it from the Recioto produced in the same region, which is sweeter in taste. Process:Grapes are harvested ripe in the first two weeks of October, by carefully choosing bunches having fruits not too close to each other, to let the air flow. Grapes are allowed to dry, traditionally on straw mats. This process is called appassimento or rasinate . This concentrates the remaining sugars and flavours. The pomace left over from pressing off the Amarone is used in the production of Ripasso Valpolicellas. Modern Amarone is produced in special drying chambers under controlled conditions. This approach minimizes the amount of handling of the grapes and helps prevent the onset of Botrytis cinerea. Typically, the length of the drying process is 120 days, but varies according to producer and the quality of the harvest. Following the drying process that is completed during the end of January or beginning of February, the grapes are crushed and go through a dry, low temperature fermentation process that may last up to 30 or 50 days. After fermentation, the wine is aged in barriques made of either French, Slovenian, or Slavonian oak. If fermentation is stopped early, the resulting wine will contain residual sugar (more than 4 grams of sugar per litre) and produce a sweeter wine known as Recioto della Valpolicella. Recioto was the traditional wine produced according to this method, and originally, Amarone was Recioto wines that had fermented for too long. Unlike Amarone, Recioto della Valpolicella may be used to produce a sparkling wine. Ripasso is an Italian wine produced when the partially-aged Valpolicella is contacted with the pomace of the Amarone. Typically, this will take place in the spring following the harvest. The resulting wine is more tannic, with a deeper color, and having more alcohol and more extract. Brunello di Montalcino is a red Italian wine produced in the vineyards surrounding the town of Montalcino located about 80 km south of Florence in the Tuscany wine region. 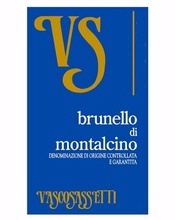 Brunello, a diminutive of bruno, which means brown, is the name that was given locally to what was believed to be an individual grape variety grown in Montalcino. Siena’s Amphelographic Commission determined, after a few years of controlled experiments, that Sangiovese and Brunello were the same grape variety and that the former should be its designated name. 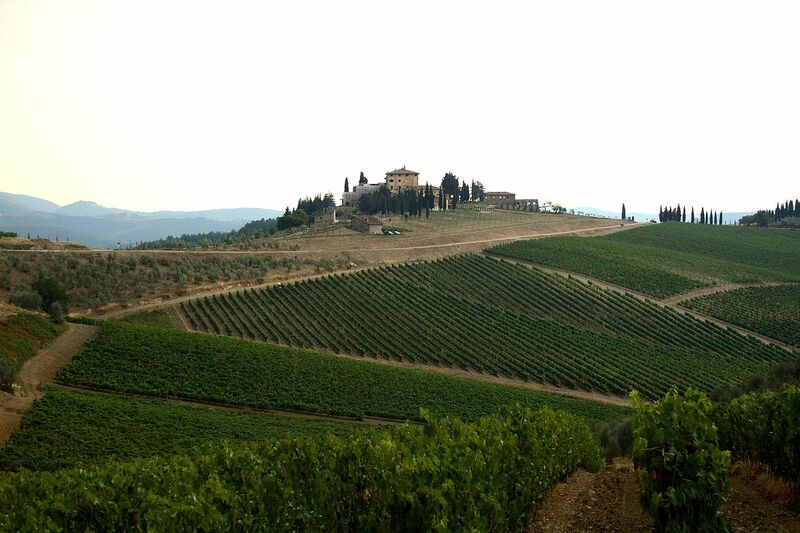 In Montalcino the name Brunello evolved into the designation of the wine produced with 100% Sangiovese. In 1980, Brunello di Montalcino was awarded the first DOCG designation and today is one of Italy’s best-known and most expensive wines. Traditionally, the wine goes through an extended maceration period where color and flavor are extracted from the skins. Following fermentation the wine is then aged in oak. Traditionally, the wines are aged 3 years or more “in botte“—large Slavonian oak casks that impart little oak flavor and generally produce more austere wines. Some winemakers will use small French barrique which impart a more pronounced vanilla oak flavor. There is a middle ground where the wine is aged in small barrique for a short time and then spends a longer sojourn in the traditional botte. Most producers will separate their production between a normale and riserva bottling. The normale bottles are released on the market 50 months after harvest and the riserva are released a year afterward. The current aging requirements were established in 1998 and dictate that Brunellos are to be aged in oak for 2 years and at least 4 months in a bottle before release. Sangiovese is also the backbone in many of the acclaimed, modern-styled “Super-Tuscans”, where it is blended with Bordeaux varietals (Cabernet Sauvignon, Merlot, and Cabernet Franc) and typically aged in French oak barrels, resulting in a wine primed for the international market in the style of a typical California cabernet: oaky, high-alcohol, and a ripe, fruit-forward profile. This entry was posted in Meeting Abstract and tagged Amarone, Arneis, brolo, Brunello di Montalcino, Italy. Northern Italy, Valpolicella. Bookmark the permalink.